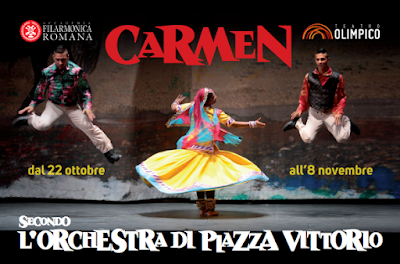 The Canadian Club of Rome will have a very few tickets for the Orchestra di Piazza Vittorio's new production of "Carmen" at Teatro Olimpico.Those who have seen this remarkable ensemble's previous efforts, such as its unforgettable "Magic Flute," will not want to miss "Carmen." Tickets for our members on a first come-first serve basis. Book now for this special opportunity! Cost: €33 for Poltronissima seats -- first choice to CCR Members in good standing.